Final checks for any essay. Go to the OWL website linked below. Make sure your paper is presented in MLA format. It should be identical to the sample page in terms of heading, margins, spacing, fonts, and layout. 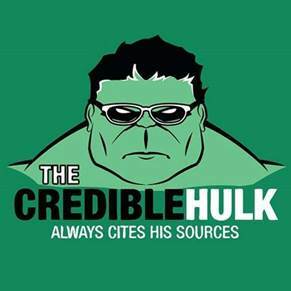 Make sure your citations are accurate. Open and print the following file. Find four different people to trade with to edit the paper. When finished make your corrections. When finished, submit to turnitin.com. then in the future you can sign into classzone.com, log in, and access your book that way! This class requires all students to turn in electric copies, as well as hard copies, of any and all writing assignments. Turnitin.com verifies any possible plagiarizing concerns and keeps an electronic portfolio of all of your work. Lakeshore has purchased the electric service, Turnitin, to discourage student plagiarism and cheating. ANY WORK FOUND TO NOT BE ORIGINAL WILL RECEIVE A ZERO AND POSSIBLE DISCIPLINARY ACTION. be completed. These are important and necessary facets to a research essay. Per departmental policy, if any of these primary components are missing, the essay will receive a zero until all components are completed. When completed, the essay will be marked as late and will only be worth 50% of its original value. Turnitin.com is due when the essay is due. Information necessary to log into turnitin.com varies by hour. To register, go to www.turnitin.com and create a user ID and password when first creating registering. Other classes should be used for your user ID and password. Remembering your user ID and password is your responsibility. question, they can email her. Parents are welcome to sign up for these reminders as well. Information to sign up for this service will be distributed in class. Sign up by texting @elacontemp to 81010.